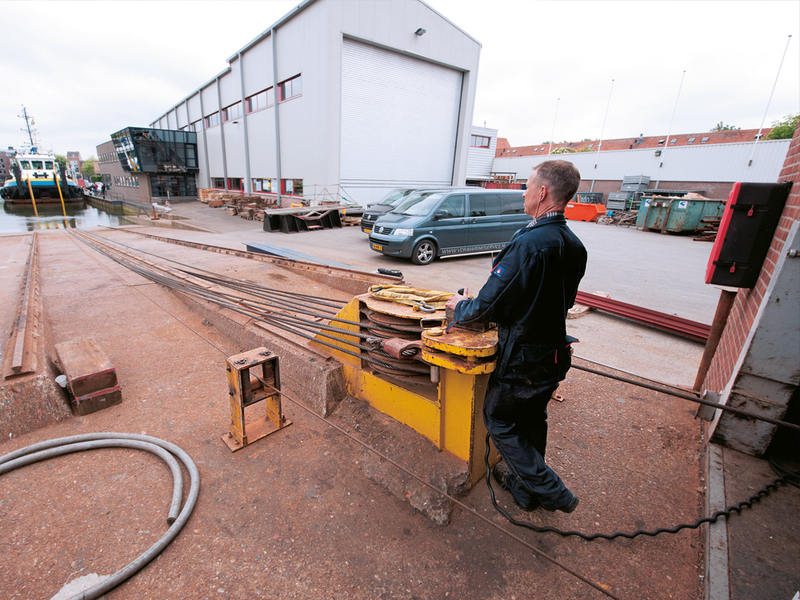 MAINTENANCE – De Haas Maassluis B.V.
With 130 years of experience in the nautical world, and a shipyard with state-of-the art equipment and skilled staff, De Haas Maassluis is perfectly placed to maintain vessels. This applies to privately owned vessels and complete fleets. Our shipyard features all the facilities needed to repair, maintain and renovate various types of vessels, as well as, for instance, pontoons, landings and gangways. Because of extensive experience in maintaining complete fleets and our effective working methods, we are able to perform maintenance and repair work very efficiently. easy to reach in the centre of the Rotterdam harbour area. This is the best way to currently describe the shipyard of De Haas Maassluis. All know-how and facilities are available at the shipyard to repair, maintain and renovate all kinds of vessels, as well as, for instance, pontoons, landings and gangways. 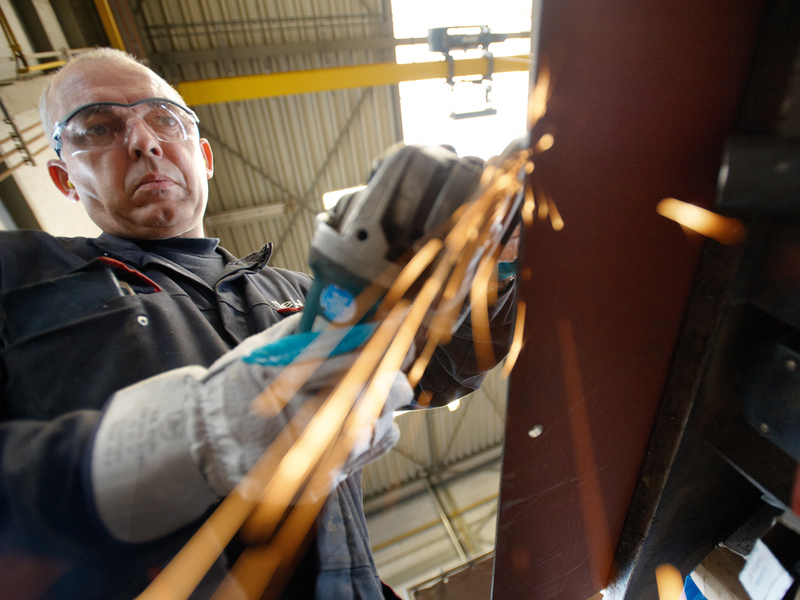 Maintenance, repair, modification, engine maintenance and installation: all this is possible at our shipyard. Fast, efficient and competitively priced. We have many years of experience in maintaining complete fleets that are used intensively, although private owners are also more than welcome. Our shipyard allows us to work on a wide variety of assignments. In order to remove vessels weighing up to 100 tons out of the water quickly and reliably, our shipyard has a state-of-the-art Marine Travelift. It features a double set of hoisting belts with tongue, whereby the vessel is suspended from 4 hoisting belts in total. 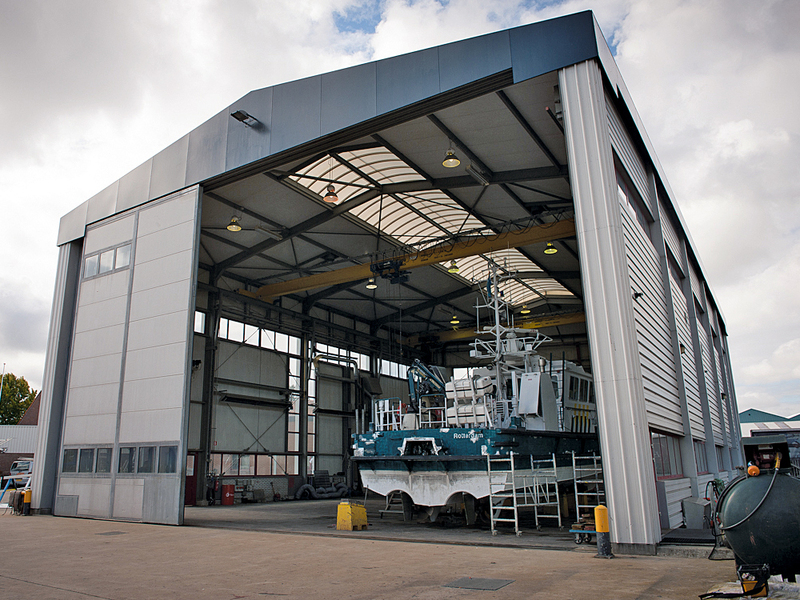 Vessels lifted by our Marine Travelift can be inspected from underneath, with full standing height available. Our shipyard has longitudinal slopes that can be used to remove vessels with lengths up to 50 metres and weights up to 750 tons from the water. This allows us to perform all necessary repairs and/or maintenance on these vessels. De Haas Maassluis has quays measuring 90 and 130 metres in length, with a water depth of at least 4 metres. The quays feature night lighting and service boxes for drinking water and power supply. A high quality floating landing measuring in excess of 100 metres, with a water depth of at least 4 metres. Conditioned halls. Our conditioned halls allow us to work in ideal conditions throughout the whole year. 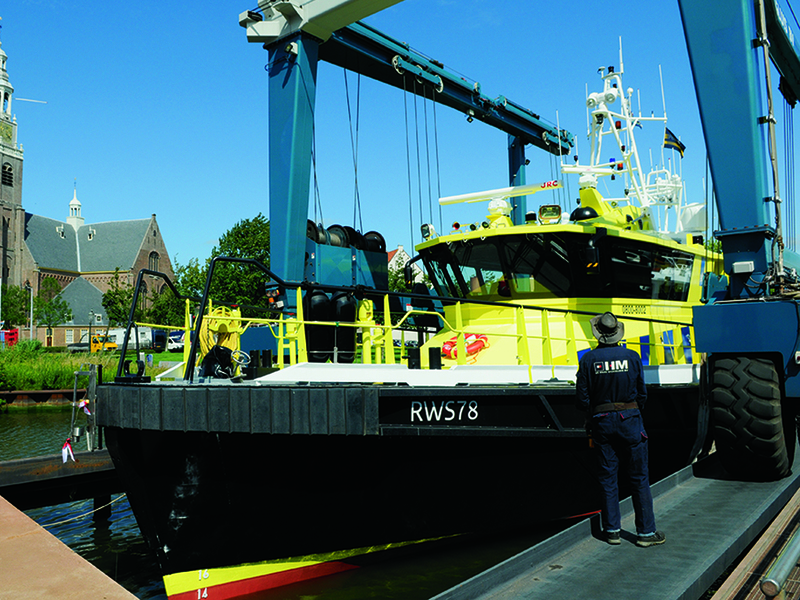 De Haas Maassluis also has more than 50 years of experience in selling and maintaining marine engines and generators. A few years ago, we made an important decision. 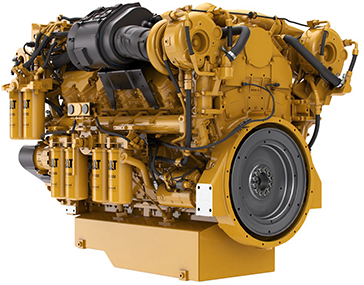 Our engine department was thoroughly renovated and, under the name of De Haas PowerPort, started to focus on first-class products by Caterpillar. Our expert service teams are able to maintain marine engines quickly and efficiently at our own shipyard or on site in the Netherlands and Belgium. The warehouse of De Haas PowerPort always contains a critical stock of spare parts by Caterpillar. In addition, we not only have new parts, but also excellent exchange parts. Modern workshops for engine repair and metallurgy.